A creamy Caprese Lasagna with a basil and cheese filled center wrapped into pasta rolls and baked in Prego® Italian Pasta Sauce with extra cheese and basil then topped on homemade french bread. 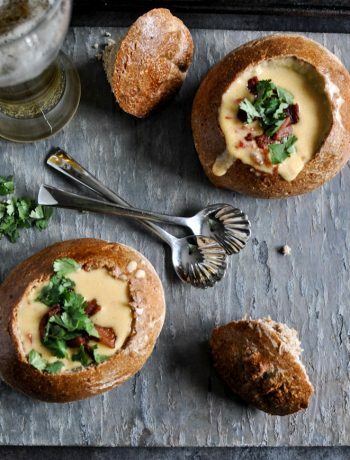 Our favorite recipes have become traditions over the years. Recipes that we make over and over again for our family because they love them. They are the first recipes that we use each time the holidays come around. They are the recipes we bake for our family frequently. They are tried and true recipes that our family wants more of. 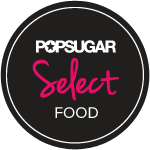 There are plenty of ways to spice up those classic recipes by making the ultimate new dish with a twist and that’s exactly what we’re doing here! Lasagna is a timeless classic our family loves and since the holidays have a lot of special meaning to us, I wanted to make something fun that we’d all remember for years to come. For years, mom always made sure the we spent the holidays together and whether I had to work or moved away to college, I always made it home in time for these special dinners mom used to make. Years later, I’m carrying on that tradition now but with a new twist. I’ve paired two of my favorite comfort food classics together and made Caprese Lasagna Boats. Everyone in our family loves them and they can be made as saucy or cheesy as desired! The holidays are all about getting to spend time with family and this dish couldn’t be any easier to make. When it comes to making dinner, I like to adapt family favorite recipes and create a fun, modern twist. Lasagna Rolls Up are huge and our family loves them. We almost always make garlic bread with Lasagna. For this recipe, we’ve made Caprese Lasagna Boats because it’s a fun and delicious way to pair the two together. To make this recipe, you’ll want to cook the noodles in a boiling pot of water for about 7 minutes. I like to use a large pot filled with water and olive oil to prevent the noodles from sticking together. Mix the ricotta cheese filling in a small bowl with an egg white, both cheeses, garlic salt and pepper. Then, spread aluminum foil or parchment paper on a clean work surface and transfer the noodles and place on top. The noodles should be somewhat dry when working with and therefore a paper towel can be blotted on top to dry. Spread two tablespoons of filling onto each noodle. Next, top each noodle with three thinly sliced tomatoes. Sprinkle some mozzarella cheese and shredded fresh basil over the top. Spread Prego® Pasta Sauce on the bottom of the baking dish. Roll each noodle up and place flap side down in the dish. 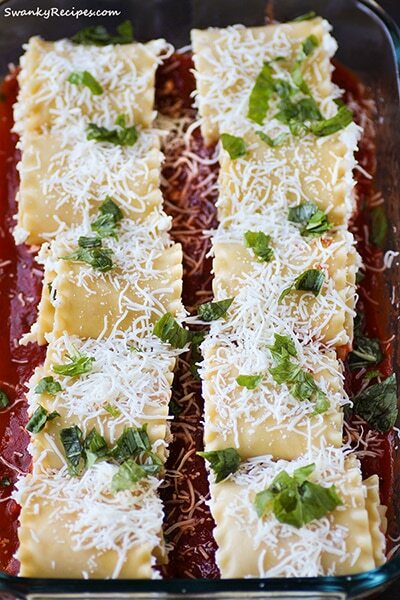 Top with more finely grated mozzarella cheese and basil. Also, to keep the ribbon sides from getting too crisp, spread pasta sauce on each edge before covering with foil. Bake in a 350 degree oven for 40 minutes. To make the french bread, cut the loaf in half horizontally. Now, spread melted butter over the tops then spread olive oil and garlic salt. Bake in oven for 5 minutes. Top each loaf half with the Caprese Roll Ups. I was able to get 5 rolls on each half. There is nothing I love more than warm, cheesy pasta! It’s my go to comfort food during this season and our family loves to make these fun boats. Prego® Pasta Sauce has a comforting and authentic Italian taste American family’s love and a variety of great homemade tasting, quick and easy to make family favorite recipes with the perfect balance of sweet and savory flavor. Walmart® carries everything from traditional flavors to Alfredo sauce and more and it’s where I bought mine. 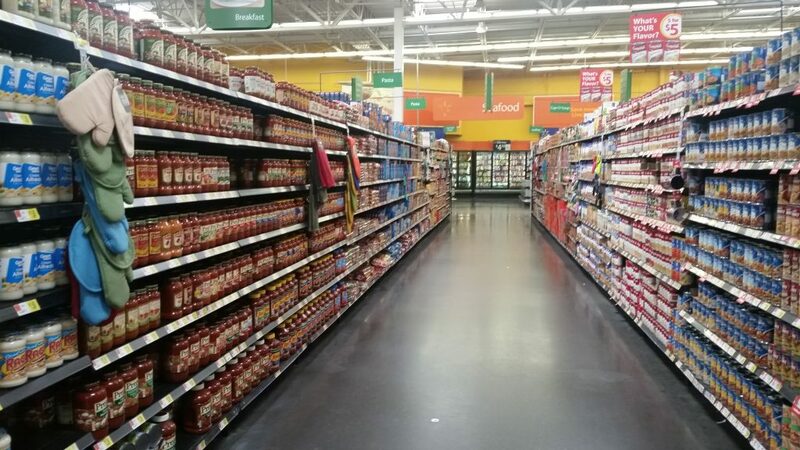 The sauce is located in the soup aisle. 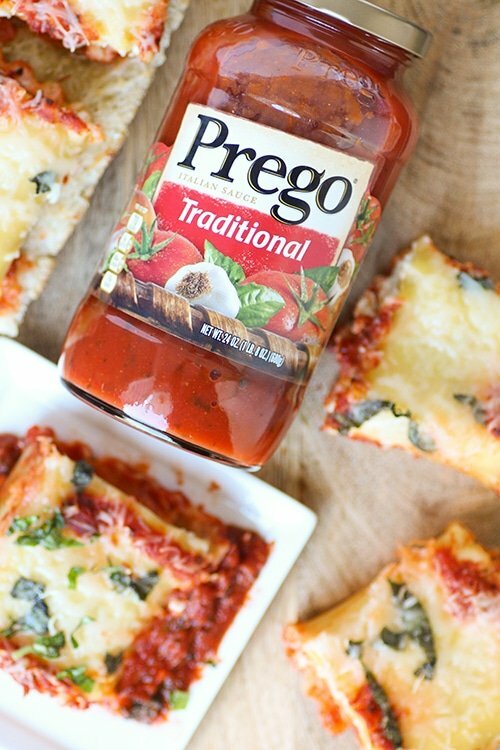 We love finding new saucy recipes made with Prego® Pasta Sauce. 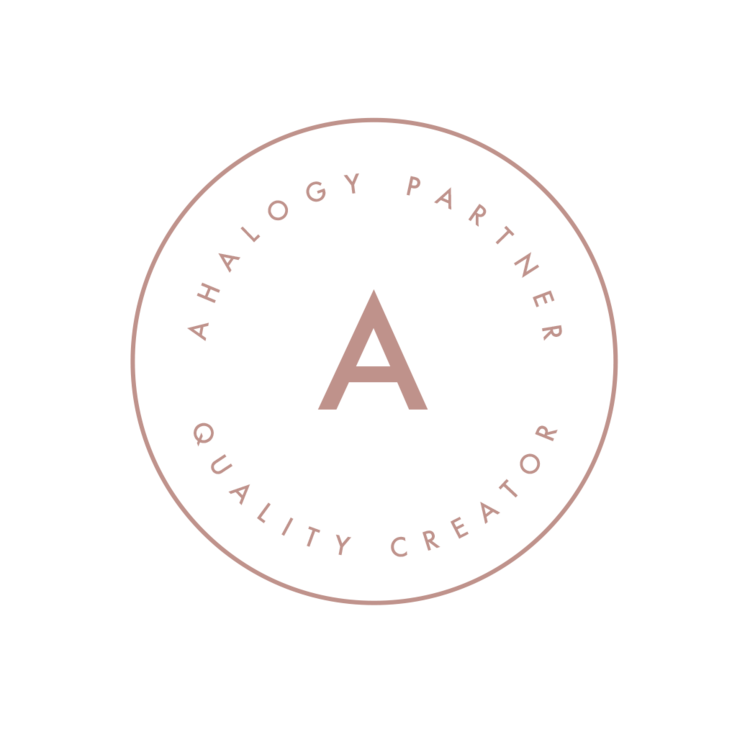 Be sure to check out more here. What are your favorite saucy recipes made with a twist? Preheat oven to 350 degrees F. Fill a large pot with water and set over high heat. Once boiling, stir in 1 1/2 tablespoons olive oil and add the noodles one at a time until they are submerged. Cook for about 7 minutes, stirring frequently to ensure no sticking. Clean a large space on the counter top of line a baking sheet with foil/parchment paper. Carefully remove noodles with tongs and set on the prepared foil in a line. 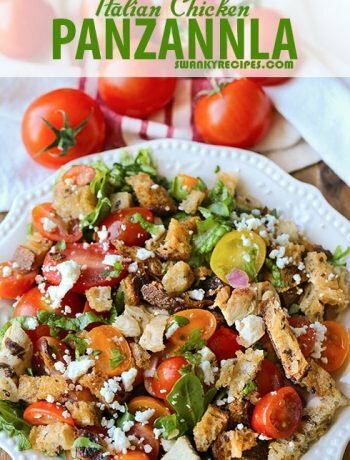 To prepare the filling, in a medium bowl, combine ricotta cheese, egg white, 1/2 cup Parmesan cheese, 1/2 cup mozzarella cheese, garlic salt and black pepper then stir to combine well. Thinly slice tomatoes (30 slices); set aside. Spray the bottom of a 9 x 13 baking dish cooking spray. Using a spatula, apply 2 tablespoons of ricotta filling to each noodle. The dryer the noodles are, the easier they are to work with. If it's hard to spread, try to smooth what you can then after applying to each noodle, come back and smooth out once it drys some more. 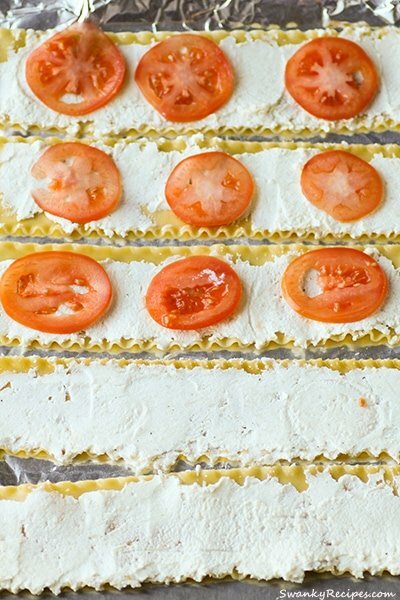 Spread 3 tomato slices over each noodle. Top noodles with 1 cup mozzarella cheese then garnish with shredded fresh basil. Tightly roll each noodle and place open flap side down in the baking dish. I was able to get 10 rolls into two layers. Top with Prego® Traditional Italian Pasta Sauce, mozzarella cheese and more shredded basil. Cover with foil and bake for 40 minutes. The last 10 minutes, remove the foil. To make the french bread, slice the bread down the center horizontally. Melt butter and spread over french bread. Evenly spread olive oil and top with garlic salt and mozzarella cheese. Bake in 400 degree oven for about 5 minutes or until browned. Top the french bread with the lasagna rolls. Slice and serve. Yummy! This meal would go over big in my house! We love things like this for dinner. Isn’t caprese just the best? This looks delicious! I love Prego sauce! We use it in our Spaghetti and it tastes wonderful. Your lasagna looks so good. Your pictures are amazing! Makes me want to rush home and make lasagna. I need to get around to making some ricotta. Have you ever made ricotta? No, I haven’t! But it totally sounds fun. Maybe on one of these cold winter days I’ll get a chance! This would be fantastic with garlic bread and salad with olive oil. Mmmm delicious I would replace it with Quorn as I am a veggie. 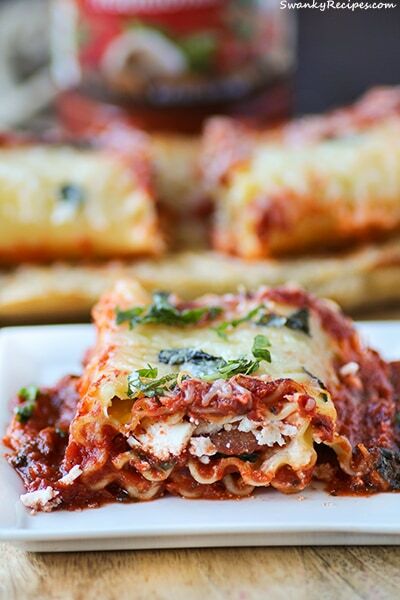 What a great alternative to a standard lasagna. This looks so full of flavor, I am sure my family would love it. It looks like a lot of ingredients at first but this is totally doable AND fun. I like that you used whole tomatoes, i think my family would like that. This sounds delicious! I love anything that has to be with lasagna. Good comfort food! oh my gosh I think I am actually drooling. 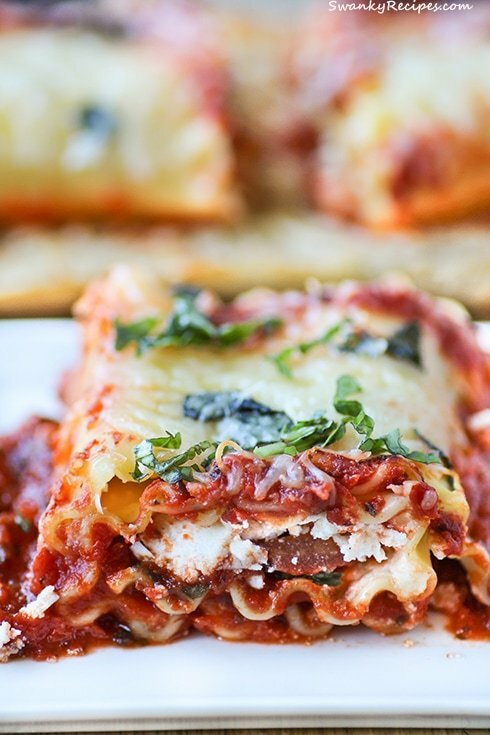 Lasagna of any kind is my weakness and this looks amazing – definitely gonna try this! 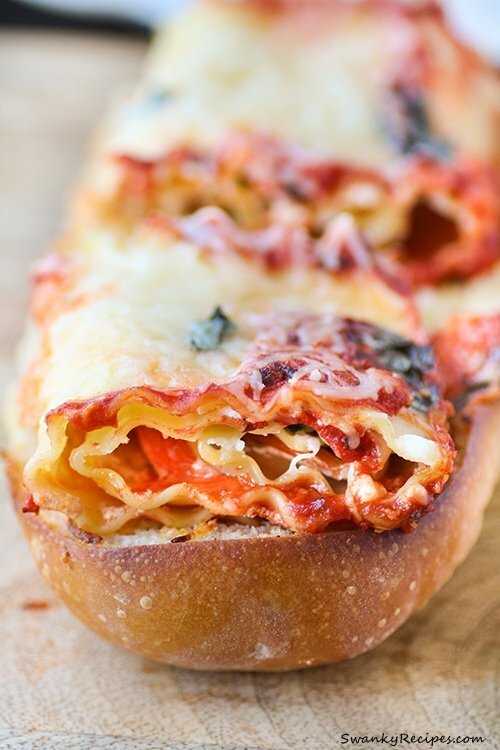 This looks very tasty and simple to make – I had not thought to put bread and lasagna together. Ingenious! OMG these look fantastic. Thanks for sharing, I’m def going to try these out. This looks awesome! I think my kids would really like it. Actually, I think it would be something that they would want to help me with. I agree, cheesy pasta is a big hit in my home 🙂 I think that it is an easy meal that I can typically throw together pretty fast, when my meal plan doesn’t work out! Pretty easy to put together and I think the kids would love it! 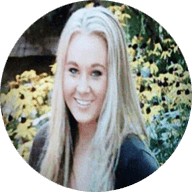 Thanks, Heather! This recipe sounds delicious. 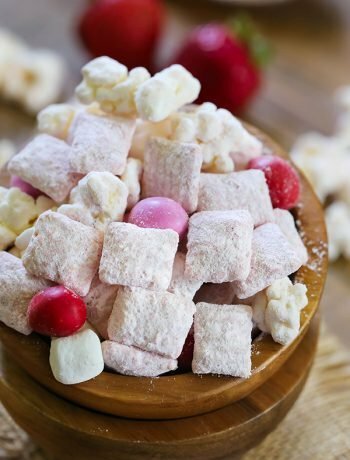 We are having a Christmas party this weekend and I think I might make these. That looks absolutely delicious. I can’t wait to make this. This looks good. Any kind of pasta is my comfort food. How clever! These look so goo! Wowie! 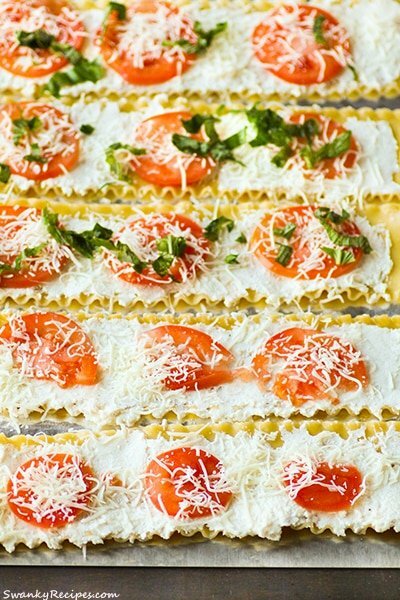 I LOVE lasagna and definitely think this recipe sounds wonderful!!! Wow that looks amazing! I am a huge lasagna fan! I must try this!! I’m totally tempted to serve lasagna for Christmas now. Wow does this look like it’s amazing delish! Lasagna is always a big hit in our house! Thanks, Kristin! All of my favorite things! I am obsessed with red sauce and this recipe looks like a must try!! Can’t get enough red sauce, too. Thanks, Elizabeth!